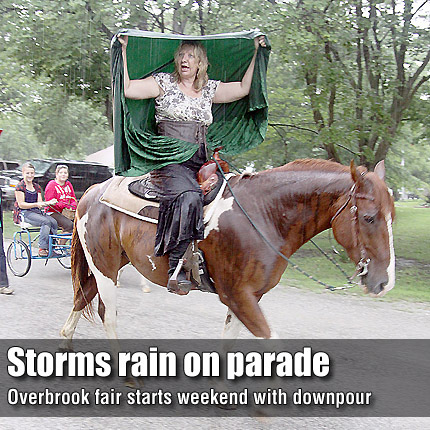 Sudden showers poured down on participants and attendees of the Overbrook Fair Parade Friday evening, but cleared up shortly after the parade ended. Parade watchers stuck around for dirt bike races, carnival rides and the beef show Friday night. The Overbrook fair wrapped up with a drier parade Saturday, followed by more carnival rides and the livestock sale.